If you love watching or playing golf, then you must have heard of a golf league. 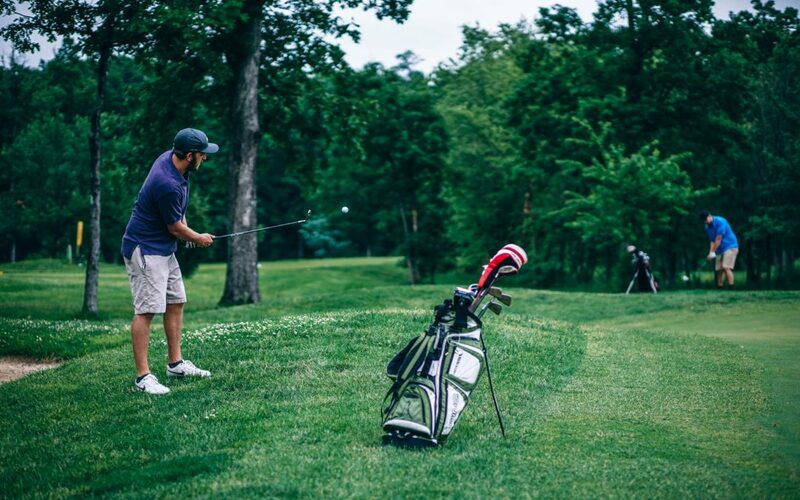 As a popular way to participate in the sports, golf leagues have become a staple for those who want to make sure that they are playing on their favorite golf course on a regular basis. Due to their popularity, golf leagues are welcomed by many players throughout the world and the amount of leagues being created is on the rise. Since anyone can start a golf league, it is not uncommon for passionate golf players to be thinking of creating a golf league of their own. But there are several nuances that are attached to different golf leagues and golf scoring methods. This makes the process seems quite daunting to some. That is why even those players who are passionate about the sports and have what it takes to start their own golf league stop themselves from doing so. Here are the differences between different types of golf leagues to make sure that you are not going down the same route. They would help you understand what you need to know to not only start your own golf league, but do so in a manner that is going to make the league an enjoyable experience for everyone involved. As you may already know, a golf league is typically held at the same time each week. This allows players to maintain their other responsibilities while also playing golf consistently. The venue or course also stays the same throughout the 12-24 week duration of the league, which adds another layer of consistency for participating golfers. Usually, there are 9 holes in a game within a golf league. But some leagues go as far as to put in 18 holes in their games; though this remains quite an uncommon practice. Anyone can join a local golf league depending upon when it is being formed and the number of members that it is looking for at the time. All that they have to do in addition to bringing their A-game to the course is to pay the Green fees for the golf course. Usually, this fee has to be paid upfront for the league’s complete tenure. This means that even if someone is not going to show up at every game the league holds, they would need to pay their fair share. Unlike a tournament, a golf league isn’t a one-off event. Instead of having to play with random golfers at a certain time each year, you play with the same people throughout the year. Depending upon the kind of league you form, you can also compete for a coveted title at the end of the league’s duration. Popular games such as stroke play golf and scramble golf are very common, but you can play an array of golf games subject to the number of players that you have in your league. Here is a list of different games and golf scoring methods that you can enjoy after creating a golf league. As one of the most famous golf playing methods, stroke play is regarded as the go-to game at tournaments and leagues alike. That is why their adoption and widespread usage is not a surprise. In stroke play, each player has to complete all holes that are in a game. This can also be done in teams of two or three. The name “stroke play” comes from the scoring method of this game, where the player or team with the lowest number of total strokes takes the win. It is prudent to note that this total net score has to come from gross score minus handicap.If you choose stroke play golf, then all the players in your golf league get an equal number of play time while being completely dependent on their own skills. This creates an air of healthy competition. Bringing an added sense of competition to the mix, match play is suitable for those golf leagues which want to keep the thrill of healthy rivalry at an optimal level. In match play, individual players or teams play all holes in a game with the goal to score the lowest in each match. Unlike stroke play where the number of strokes matter, match play rewards players with the lowest score regardless of the number of shots they have taken. This makes match play a very lucrative game for those who want to improve on their golfing skills during their time at their golf league. Popular within golf leagues, scramble golf gets the distinction of being the type of game where player input carries a lot of weight. In scramble, you need to form a team with at least two players. This number can also increase. For instance, you can have a team of three or a team of four players. Each player in the team gets to hit a tee shot. Afterwards, all the players in the scramble team reach consensus on which shot was “best”. This depends on which shot had the longest drive or which one landed closest to the fairway. From there, the position of the best shot is marked on the course. Players then take their next shot from that position, take a consensus again, and select another position for the next best shot. This process is repeated throughout the hole. The team score in scramble golf is denoted by the total of “best shots”. Typically, scramble is considered as more of a fun play than a competitive game. That is why, it is highly used by golf leagues that are not as focused on competition as they are on having fun by getting together each week. Foursome is also a very popular game in golf, which is mostly played by those who emphasize greatly on partnerships. In this type of game, players form a team of two. These golfers playoff against each other by taking alternate shots throughout each hole. The tee shot is alternated between the even and odd number of holes. Foursomes are quite adaptable in the sense that they can be played with stroke play golf or match play golf rules. They are welcomed by those golf leagues that do not want to go by methods as common as simple stroke play or scramble play. The winner is the person who collects the highest number of points at the end of the match. Type of match play game in which the winner of each hole is awarded points or money. 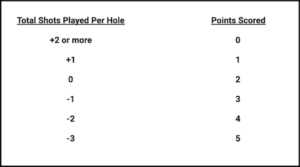 If the best score for the hole is achieved by more than one player the points are carried over to the next hole, making all subsequent holes potentially worth considerably more. In the event that two or more golfers halve the final hole, a playoff begins until one golfer wins a hole outright which at times may go on for some time. So, which method is suitable for you? Choosing a suitable method for your golf league depends upon the kind of people you are playing with, and the actual goal that you want to achieve by creating a golf league. That is why it is a necessary point to discuss the type of games and golf scoring methods before you start with a golf league of your own. Once all participants seem to be in favor of a method, you can go ahead with establishing your golf league. For added ease, you can turn towards a golf league management software to help you keep track of your league’s management and scoring without any hassles. This also minimizes errors, ensures transparency, and contributes to consensus by all parties. Not to mention with new technology, you’re now able to see who’s in the lead in real-time when you are on the golf course from your mobile device Interested in learning more? Get in contact with us to help get you and your league all setup and ready to hit the course. How do your friends manage their golf league? Welcome to the EZ Golf League Blog! Join 1000s of golfers that receive updates about everything golf!